Vintage Watches - many links to a large number of my best watches. Not a copy or a fake, but a line of 'homage' watches to the mighty Rolex. Created by a watchmaker in Japan who must be in love with Rolex. Seiko Military SUS 4S15. 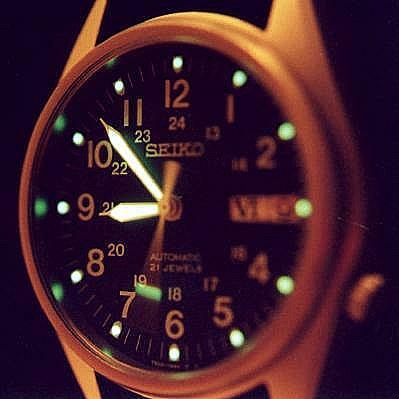 Very nice auto Seiko, limited production run late 1990's. Strange Seiko Compass Watch. A two 'headed' watch for a serious outdoorsman, or maybe a mercenary. Hard to explain, you just have to see it. Smiths W10 Army Watch. 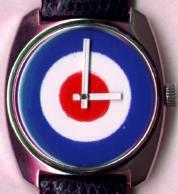 This is one of the last of the all-England watches, a military issue watch made by the Smiths company. Sir Edmund Hillary carried a Smiths to the top of the world in 1953. 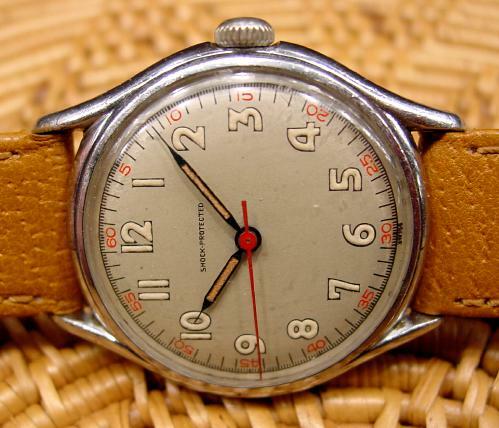 Picture Gallery of Vintage Timex Watches. Omega Seamaster 300. 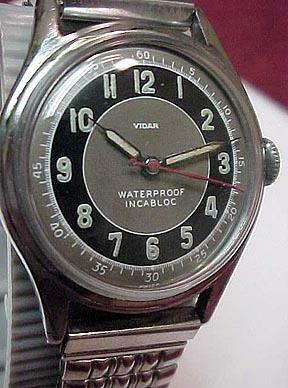 Classic dive watch, '60's. German Wrist miles Planimeter ? strange..
Orvin 50's chronograph from Sears! Great dial and hands. Swatch: everyone should own only one. 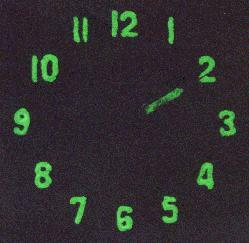 Kelton Electric wall clock, 'kitchen clock' 1948 atomic styling. Timex Gold Marlin 1950's Usually I hate gold, sometimes you make exceptions. Omega 1948 eccentric dial, classic watch. Seiko 5 Automatic: case swap project. Ugly watch becomes beautiful. Hilton Mystery Dial. What is the mystery? Russian Medical Watch Slava Craba, very nice. Timex Automatic, Arab language market? Persian? Sputnik Watch: 50 years of Space Exploration. Mechanical *Kmart* watch from 70's! TOKYObay repro 50's 'vintage' watch Large! Timex "Sprite." Very rare, mysterious blue, 1971. 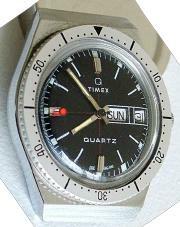 Timex Sprite 1971-1973. Target, bullseye, whatever you call it. Tons of info & pics on this iconic Timex. Modern re-creation of the iconic Timex "Sprite." The "Mod" watch by Todd Snyder x Timex. The What's New page has been completely replaced, by the FEATURED WATCHES page, now with index pictures. What's New had become jumbled, and not well formatted, and so I've brought all of the links to the new page, created January 2018. There is no reason to go below asterisk line, but I am leaving this page, so other links won't be broken.